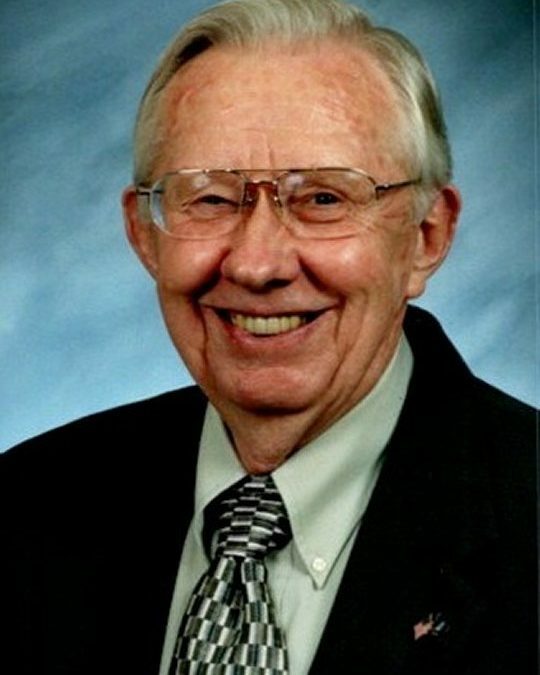 Van O. French entered his heavenly home on Monday, April 1, 2019 at Lake Cumberland Regional Hospital. He was born on June 22, 1929 in the small community of Texas in Pulaski County to the late W.J. and Gertrude French. He was 89 years and nine months old. He is survived by his wife Maxine. They have celebrated 68 years and 8 months of marriage. He is also survived by sons Michael and Gregory, 4 grandchildren, Jared, Justin, Steven and his loving granddaughter Danielle and 12 great-grandchildren. Other than his parents he was preceded in death by sons Kenneth and Stephen, brothers Juddy, Elmer, L.V., Bill, George, June, Dale and Marion. Sisters Stella Price, Ella Hargis, Gussie Clark, Agatha Todd and Laura Whitis. Van was a Charter Member of Grace Baptist Church and dearly loved the pastors and members as his own family. He was a Deacon, starting out in a small mission in Petaluma, California. He retired from the military with 9 years in the U.S. Navy and 11 years in the U.S. Air Force, spending a tour in Vietnam. He then went into Civil Service working for the Air Defense Command, where he spent another 20 years. His greatest passion was serving others. He spent almost 20 years serving in Southern Baptist Disaster Relief, where he served as on-site coordinator in the aftermath of floods, hurricanes and the terrorist attack of 9/11. Van was also a member of Buckeye Builders, building churches in several states, as well as Uganda, Africa and Brazil. He was also a Charter Member of the VFW in South Bloomfield, Ohio where he served as Chaplain. He concluded his life of service as a volunteer at Lake Cumberland Regional Hospital where he served for 12 years. Through it all, he remained a humble servant, never seeking nor accepting praise. Visitation will begin at 11:00 a.m. on Friday, April 5, 2019 at Grace Baptist Church, 340 Oak Leaf Ln. Somerset, KY 42503, with funeral service to follow at 1:00 p.m. at the church with Pastor Bill Haynes officiating. Burial will be in Eden Cemetery with Full Military Honors provided by American Legion Post #38 Honor Guard. Expressions of sympathy may be made to Eden Cemetery or charity of choice. Southern Oaks Funeral Home is entrusted with the arrangements for Van O. French.